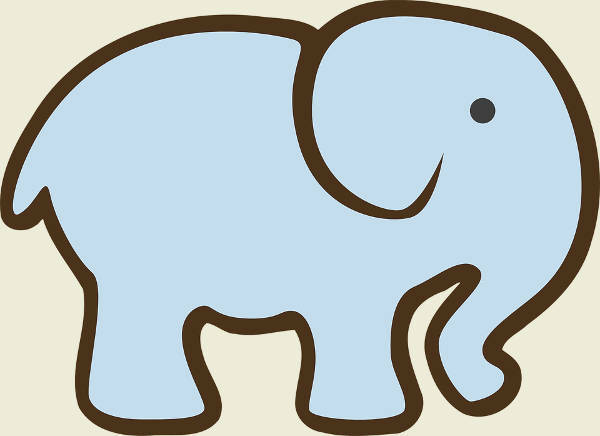 Elephants. People all have a say on what they think they are and what they think they’re for: For some, they may be one of nature’s creations that have to be cared for to keep biodiversity vibrant. For others, they could mean dollar signs or a new piano for a ballroom in the works. For plenty more, they could mean sacred creatures to be respected and revered. Whatever the case, I like to think that we can all agree that there is more to these gentle giants than what we may initially think. 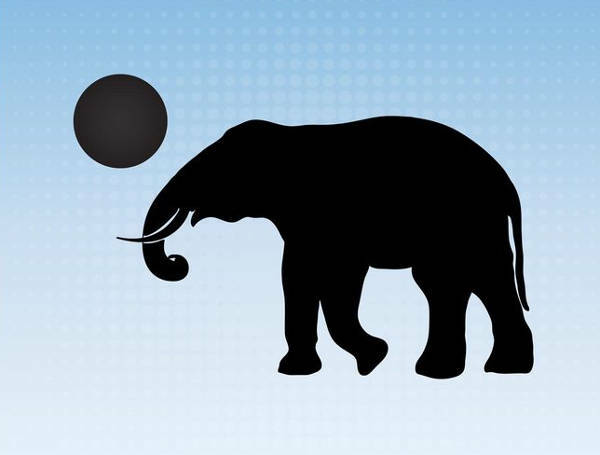 Just like the real-life counterparts, there is also more to this collection of 10+ unique elephant silhouettes. 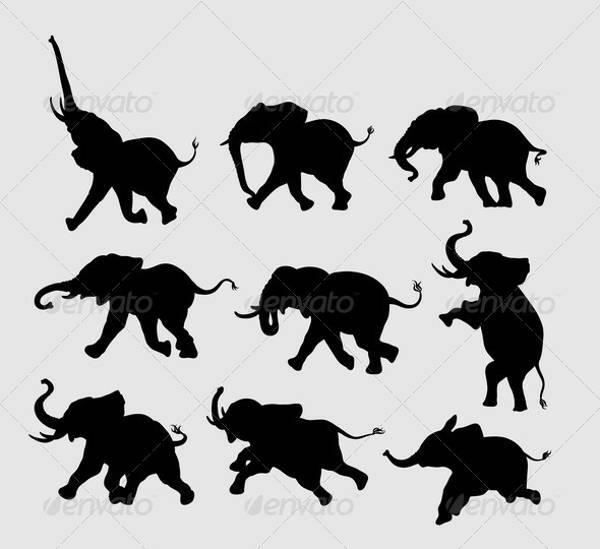 These Silhouette Designs of elephants come in PNG, JPG, SVG, Vector EPS, AI Illustrator, etc. formats—perfect for a whole slew of design needs. 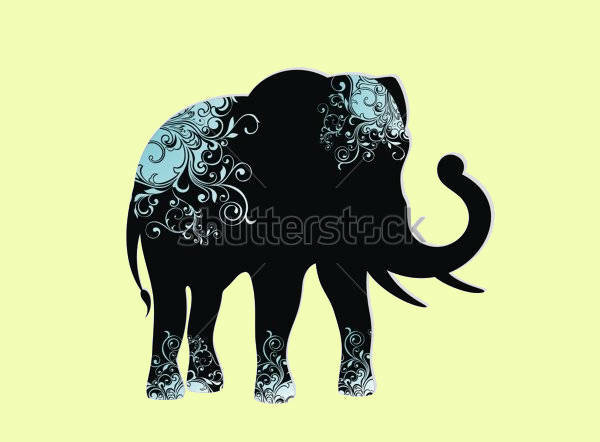 Cartoon Elephant – Perhaps quite a ways away from being considered as an elephant silhouette, “Cartoon Elephant Silhouette” still is quite a cute little number and one of unquestionably good quality as well. 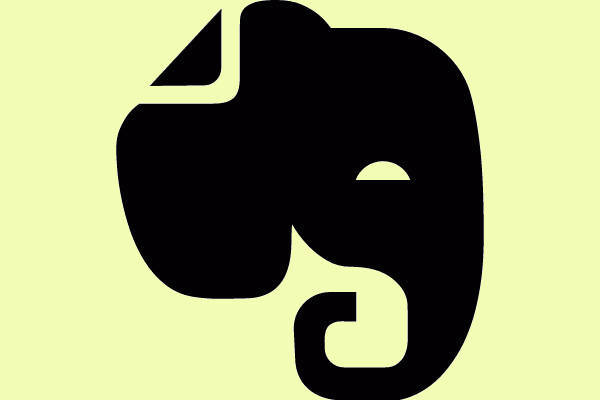 Free Interpretation – In “Elephant Head Silhouette” and “Decorative Elephant Silhouette,” each artist made a few tweaks, allowed a few creative liberties to the general image of an elephant to produce their own unique take—the former with the “dog-eared”…ear and the latter with the beautiful swirly pattern. 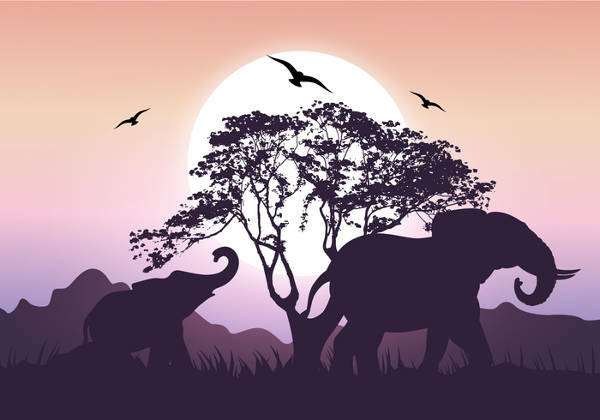 Lovely Layers – In “Elephant Sunset Silhouette,” you can see how the different elements—the different tones of each silhouette layer to create space (with the idea of foreground, middle ground, and background)—balance each other out. 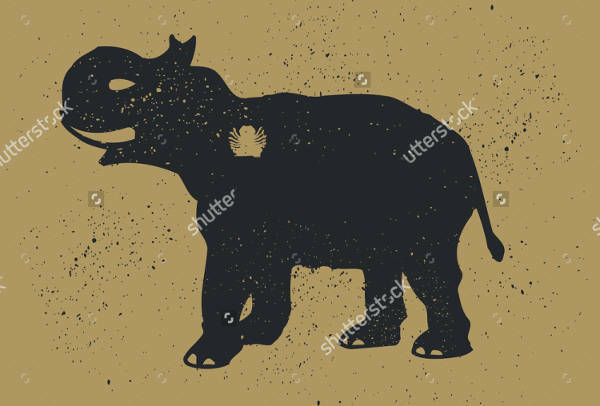 By now, I think you can agree with me when I say that there is no question about the variety of designs in this collection of elephant silhouettes. (The same goes for these Horse Silhouettes.) Also, given the said variety, it’s fairly easy to get creative and think of a number of ways to use each one. Why, we’ve even come up with some of our own! 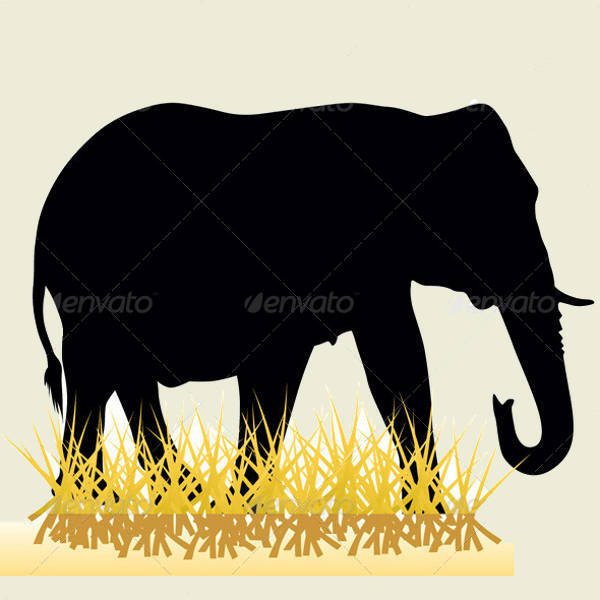 Elephant Silhouette Vectors – With your work as a graphic designer or illustrator, we know how you can easily get buried under a mountain of projects. You can’t possibly finish each one while still creating every single element and detail from scratch. 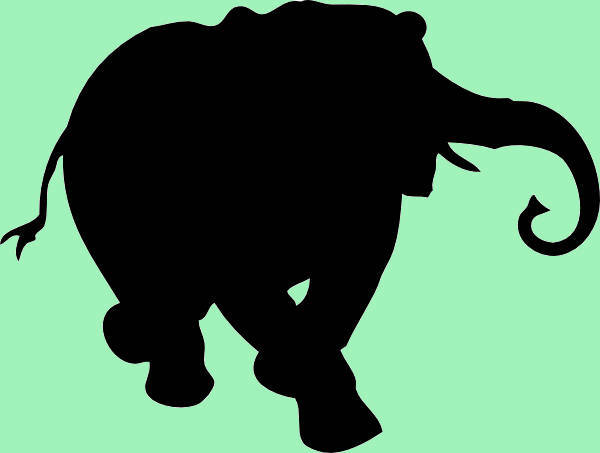 So to save up on time, energy, and yourself from more needless stress, you can get a head start with these elephant silhouette vectors! 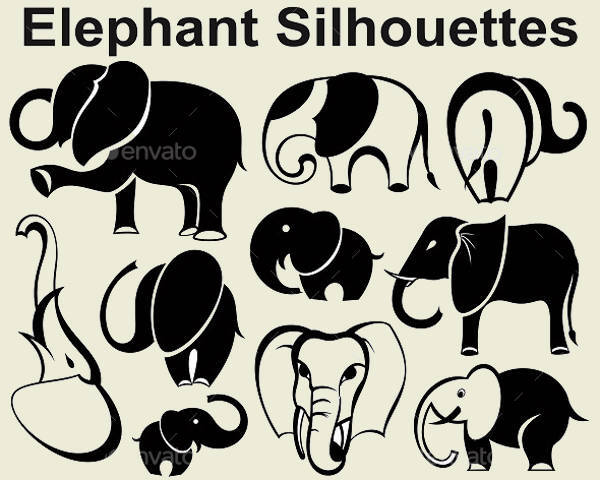 Elephant Silhouette Cutouts – If you prefer the old-fashioned way to your arts and crafts stuff, go ahead and download any or all of these elephant silhouettes, print them out, and cut the individuals for your very own elephant cutouts. 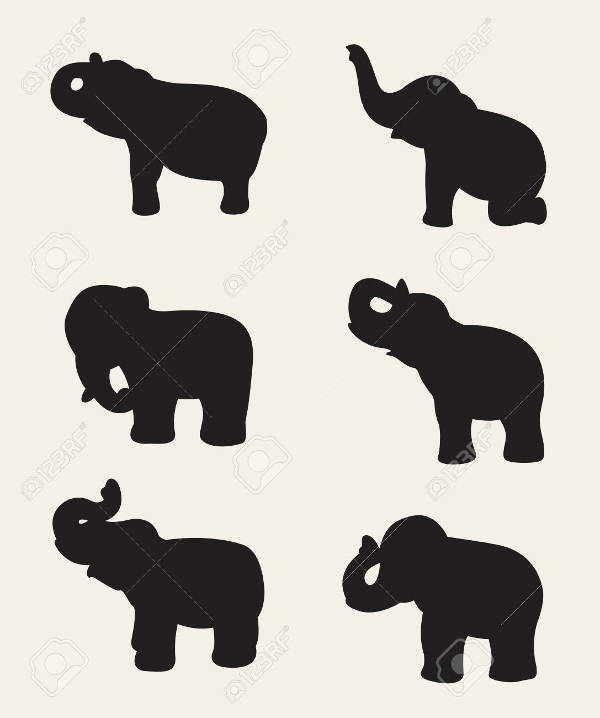 DIY Elephant Sticker Set – With “Collection of Elephant Silhouettes,” you can have your very own elephant stickers! Just download, put sticker paper into the printer, and the print! Easy peasy. All that said, don’t forget to download!